I never let Hollywood take control of me. What helped was leaving when (Malcolm in the Middle) ended, living a normal life in Phoenix. I know the people at the grocery store and my neighbours. 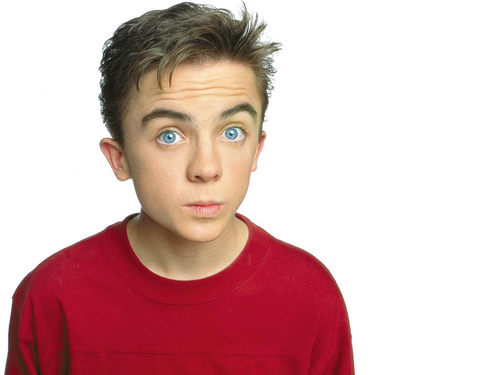 In the year 2000, Frankie Muniz rose to television stardom by playing a nerdy child prodigy. With his bright blue eyes and confused expression, he delighted TV viewers as the new millennium dawned.. 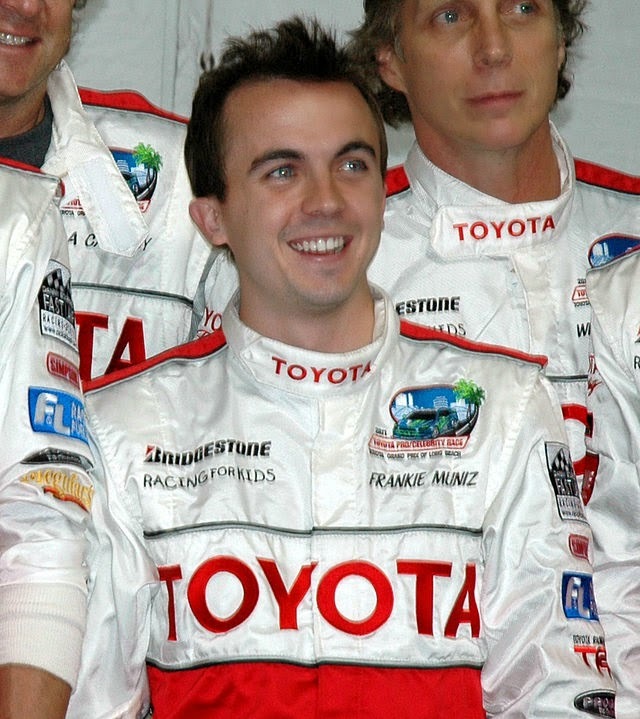 Since 2008, however, Muniz has put his acting career on the back burner in order to to pursue other interests, Best known as the star of Malcolm in the Middle, Frankie is 29 years old now and is a racing car driver. He races open-wheel or formula cars (known as single-seater cars in Britain). These cars are usually built specifically for racing and have one seat. Below is a photo of Muniz at the 2011 Toyota Pro/Celebrity Race. Frankie is also a musician. 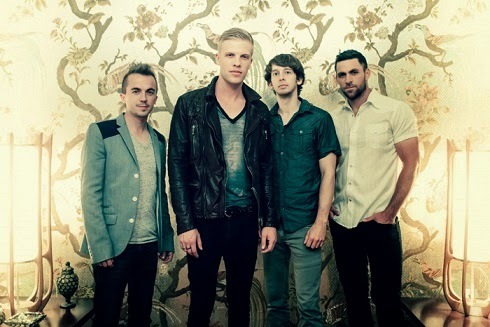 He has been playing drums since the age of 12 or 13 and is a former member of Kingsfoil, an indie rock band. He was originally with the group You Hang Up, which had the same manager as Kingsfoil. When You Hang Up dissolved, Mnniz auditioned for Kingsfoil. 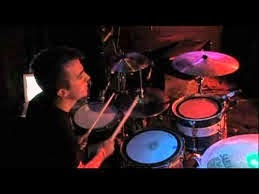 In April of 2012, he became Kingsfoil's drummer. Frankie spent almost two years with Kingsfoil. In February of 2014, however, the group announced that he was no longer a member of the band. Lead singer Jordan Davis said that group members had remained on friendly terms. Very sad to announce that Feb 7th at the University of Wyoming was my final show performing as the drummer of Kingsfoil. Due to scheduling conflicts in the coming months, the guys in the band decided to replace me as the drummer a few weeks ago. Although I'm sad about not being a part of the band, I understand their decision and support them moving forward! I want to thank all my fans and the fans of Kingsfoil for supporting me while I got to live out one of my dreams. Playing drums in a touring rock band was incredible, and I will remember the times I was lucky enough to experience forever! Franciso "Frankie" Muniz IV was born in Wood-Ridge, New Jersey on December 5, 1985 to Francisco III, a Puerto Rican restaurateur, and Denise, a nurse.of Italian and Irish descent. He has an older sister named Cristina. Frankie's parents separated and the youngster eventually moved to Burbank, California with his mother. He began appearing in commercials and was cast in two 1997 television movies: To Dance with Olivia and Hallmark Hall of Fame's production of What the Deaf Man Heard. In 1998, he portrayed a boy named Derek in two episodes of the comedy Spin City, starring Michael J. Fox. The episodes are "Three Men and a Little Lady (Season 3. Episode 6, Air Date: October 27, 1998) and "The Kidney's All Right" (Season 3, Episode 9, Air Date: November 17, 1998). Muniz also had a minor role in a 1999 episode of Sabrina, the Teenage Witch, starring Melissa Joan Hart. 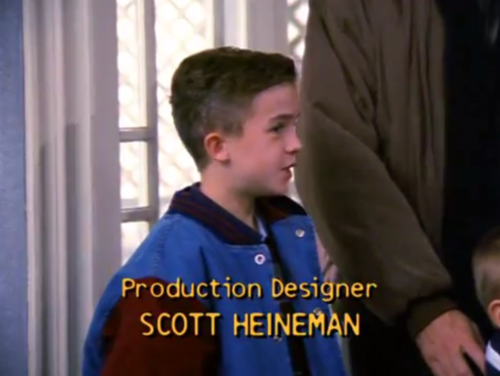 In the episode, entitled "Sabrina the Matchmaker" (Season 3, Episode 16, Air Date; February 12, 1999), he played a boy named Angelo, the son of a man being matched by Sabrina for Valentine's Day. Frankie's first breakthrough came when he was cast as Willie Morris in the 2000 movie My Dog Skip opposite Kevin Bacon, Diane Lane and Luke Wilson. It was his first starring role in a feature film. The film, set in the American South during the 1940s, chronicles Morris' childhood, particularly his warm relationship with his dog, Skip. 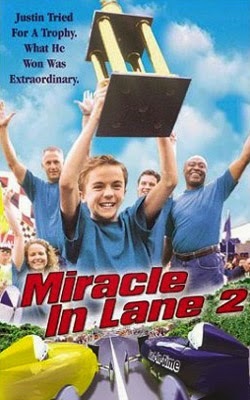 That same year, the young actor portrayed Justin Yoder in the Disney Channel's Miracle in Lane 2, The TV movie is based on the true story of Yoder, a 13-year-old boy in a wheelchair who is determined to emulate his athletic older brother by winning a trophy. 2000 was also the year that Frrankie lit up television screens as a boy genius in Malcolm in the Middle, The sitcom first aired on January 9, 2000 as a midseason replacement on the Fox network. Frankie was just 14 years old when he began playing Malcolm, a gifted teen with an IQ of 165 and a photographic memory. Malcolm lived with his dysfunctional family in a suburban community in the fictional Tri-County Area. He was assigned to a class of gifted students, known as "Krelboynes" at the school he attended. Throughout the series, he struggled with the problems of adolescence and feelings of not fitting in. The television audience was privy to his thoughts because he would sometimes speak directly to viewers. Bryan Cranston of Breaking Bad fame portrayed Malcolm's father, Hal, and Jane Kaczmarek portrayed his mother, Lois. When the show began, Malcolm had three brothers. Francis, the eldest was played by Christopher Masterson.. Reese (Justin Berfield) was the second eldest. Then came Malcolm, the third child, followed by Dewey (Erik Per Sullivan), A fifth brother, Jamie, was introduced as a baby in the show's fourth season. Jamie was played by identical twin brothers James and Lukas Rodriguez. Below is a photo of the cast of Malcolm in the Middle: Clockwise: Christopher Masterson. 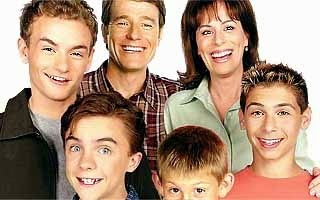 Brian Brian Cranston, Jane Kaczmarek, Justin Berfield, Erik Per Sullivan and Frankie Muniz. While starring in Malcolm in the Middle, Frankie Muniz also had the lead role in the 2002 feature film called Big Fat Liar. In the teen comedy, Frankie played a 14-year-old chronic liar named Jason Shepherd. The film was directed by Shawn Levy and co-starred Paul Giamatti and Amanda Bynes. 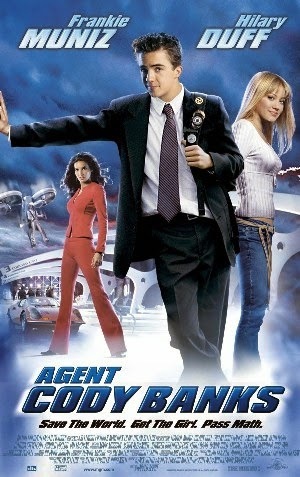 Frankie also starred in 2003 film, Agent Cody Banks, with Hilary Duff. After six years and 151 episodes, Malcolm in the Middle ended its run in 2006. For his performance in the series, Frankie Muniz received an Emmy Award nomination and two Golden Globe nominations. The series itself won much critical acclaim It was distinct from most TV comedies in that it did not have a laugh track or a studio audience. The show was shot on film rather than on video. In 2007, Frankie was a guest star in an episode of Criminal Minds entitled "True Night" (Season 3, Episode 10, Air Date: November 28, 2007). He played Jonny McHale, a graphic novelist with links to a number of horrific murders. In 2012, Frankie appeared in an episode of the TV comedy Last Man Standing, starring Tim Allen. In the episode, "Baxter & Sons" (Season 1, Episode 18, Air Date: February 21, 2012), he played the part of Richard. Frankie had a leading role, alongside Barry Botswick and Maggie Castle, in Destruction: Las Vegas, a 2013 television movie. The movie, originally titled Blast Vegas, is an action thriller about fraternity brothers who head to Las Vegas for spring break. They steal an Egyptian sword from a hotel, thereby releasing an ancient curse upon the city. The film initially aired on the Syfy channel on July 18, 2013. On October 22, 2011, Frankie announced his engagement to Elycia Maria Turnbow, the owner of a clothing line called Arcadia Vintage. The announcement was made on Twitter. There has been no news of a wedding date and there has been much speculation and many rumours surrounding their relationship. In February of 2011, there were reports of an argument between the couple in which the police were called to the scene. It was alleged that Frankie had put a gun to his head. When ashed about the incident by Fox 411, Miniz played it down. He said, "I didn't let it bother me . . . neither of us came close to being arrested. The fact that the story ran the way it did was insane to me . . . There wasn't more to it. It was a fake, overblown story." Frankie has suffered two mini-strokes. On November 30, 2012, he had his first stroke. He was hospitalized after family and friends noticed that he was disoriented and that his speech was slurred. A year later, he underwent a second mini-stroke. In a Twitter post on November 25, 2013, the actor wrote, "Almost a year to the day, I experienced another mini-stroke. Hopefully that will be the last. Miserable." In April, 2014, Frankie Muniz condemned Donald Sterling, then-owner of the Los Angeles Clippers NBA franchise. Muiiz, a longime fan of the Clippers, addressed the storm of controversy that erupted after a tape surfaced of Sterling telling his girlfriend that he did not approve of her "associating" with black people. On his Facebook page, Frankie declared that he was "disgusted by the things said by owner Donald Sterling." "I've never been a fan of the owner," he wrote. "I am a fan of the players, the coaches, and I root for the team to win for the fans." Frankie later tweeted that he was considering buying the team himself.. (It is not known how serious he was about that). * Frankie Muniz currently resides in Scottsdale, Arizona and is a fan of the Arizona Cardinals of the National Football League (NFL). * Frankie was homeschooled by his mother beginning in Grade Six.